As promised, Essex legends EDDIE & THE HOT RODS close the door on 40-plus years of touring with a very special show in London next spring. Billed as ‘Done Everything We Wanna Do’ and co-promoted by Vive Le Rock with Black Wax, the band will take to the stage at the O2 Academy, Islington on Saturday 13 April. The gig promises appearances from Hot Rods past and present along with some very special guests. Tickets, including VIP packages granting, among other treats, admission to the aftershow party, are available here. To prepare you for the event, Eddie And The Hot Rods – The Island Years is a 6-CD box set bringing together the band’s first three albums – Teenage Depression, Life On The Line and Thriller and a wealth of bonus material. Highlights include numerous BBC recordings including three Peel sessions and an In Concert performance, their collaboration with MC5 frontman Rob Tyner and a rare fan-club only 12-track album, originally pressed in a limited edition of 100 and available here for the first time on CD. 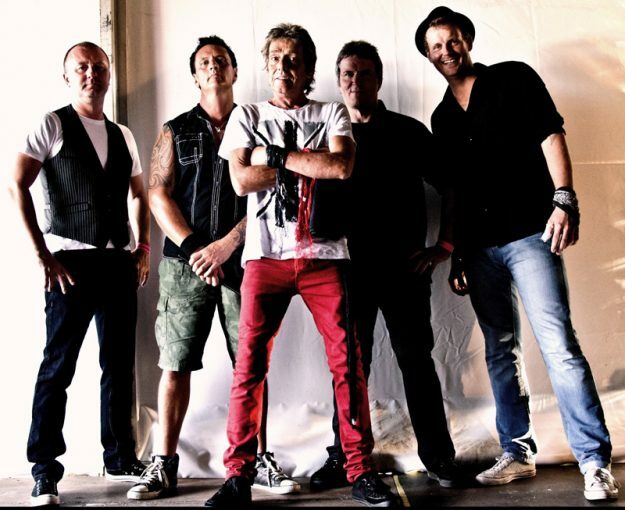 All brought together with a 28-page booklet, Eddie And The Hot Rods – The Island Years is released on 14 September. In the meantime, the band continue to tour up to the end of the year. Full dates are on their website. ‹ SPENCER ADDS HEADLINE SHOWS! Time to rest now Barrie, you deserve it mate!